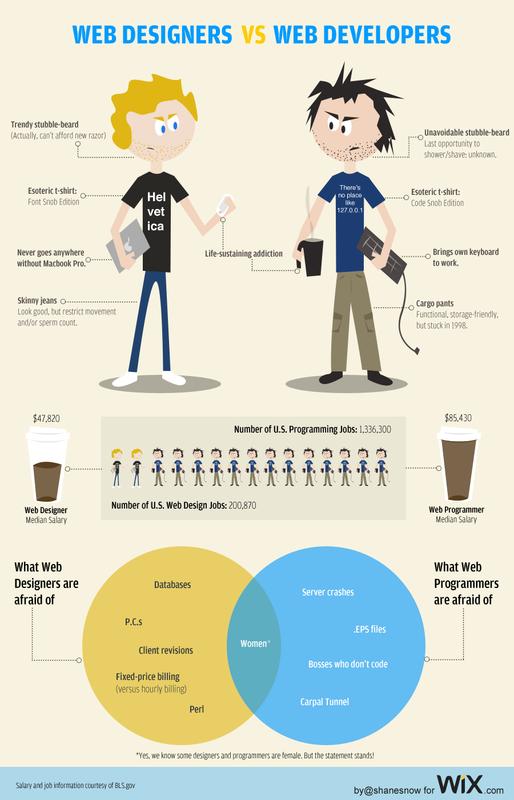 While working in the industry for a few years, I find that stereotypes do exists. Of course they always will exist and yet they aren’t always applicable. But for good fun, I’ll post this here, Enjoy! Thanks to @shanesnow for his wit and perspective used to create this! After using WordPress for a few months and quickly understanding it’s potential as a simple & easy to use Content Management System (CMS), one thing still confounded me. What is so great about these widgets? I could see widgets being quite useful on sites which required small areas of content ‘widgetized’ into the layout of the page, but the main drawback I saw was that widget’s appeared on every page, post and template. Unless some template customization was made to include or exclude the widget area they were a continuous part of the site. The time spent to modify the template structure to include or exclude widgets seemed to null the inherent easy plug n play nature of widgets. Until I discovered Widget Logic. Quickly my qualms about widget use dissolved and the full power of WordPress widgets was unleashed. Only one question remained… Why isn’t this plugin built into the WordPress Core? Thanks to the friendly folks over at the Themeshaper forums I stumbled upon the powerful and simple Widget Logic. Widget Logic is a simple and easy to use plugin which adds a small field to all WP widgets (fig 1). The widget logic field allows you to specify which pages, posts or templates that you’d like your widget to appear on. The Widget logic field can accept full PHP and/or WordPress conditional tags both of which need to output a ‘TRUE’ value for the widget to appear. Using some basic PHP operators (&& = And, ||= Or, !=Not) you can create some powerful logic to help your widgets display just where you want them. Here’s a few common examples..
Tests whether or not you’re on the homepage and returns a TRUE value to display the widget only on the homepage. This displays the widget on all pages EXCEPT the homepage. Although WordPress doesn’t currently have a ‘test for sub-page’ conditional tag, you can use the following PHP to test and return TRUE for all sub-pages of the specified Parent page. To accomplish this on multiple pages and their corresponding sub-pages see the last example. This tests and displays the widget on all single posts in the category ‘testimonials’. A big thanks to our developer Wiz Kevin for sorting this one out. The code below test’s and return’s TRUE for all sub-pages of Parent pages ID’s 2 & 13. The host of options available with WordPress’ Conditional tags can be referenced at the WP Codex. I hope this has been a handy post for the budding WordPress professional. After implementing a jQuery carousel developed by Jan Sorgalla, an example can be seen here I ran into a small issue. The jQuery plugin worked great in all browsers, EVEN IE6! but for some reason in IE7 the script wasn’t firing. After extensive searching into deeper and deeper pages of Google results I found a small post outlining the problem. Just like CSS selectors, when you use multiple selectors you need to place a comma after each selector which is followed by a subsequent selector. Like so.. The correct code for the parameters above should read.. I hope this will alleviate some headaches for the jQuery beginner out there. See you next time!